During the first time I visited Chef Tatung Restaurant when it was still located in Quezon City, I immediately fell in love with it. 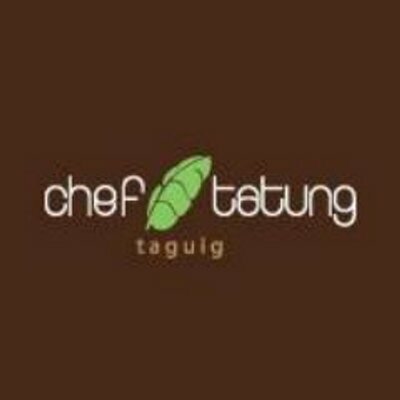 Despite the long drive and the unfamiliar place, I consider it one of the restaurants that made me feel at home from the get go.Then last year, owner chef Myke “Tatung” Sarthou relocated his famed gastronomical abode from Quezon City to Taguig City. Location-wise, it became farther from my place than ever. Yet, having experienced the wonders of Chef Tatung’s place and the impeccably satisfying treats that it offer, I realized that indeed, home is where the heart is. 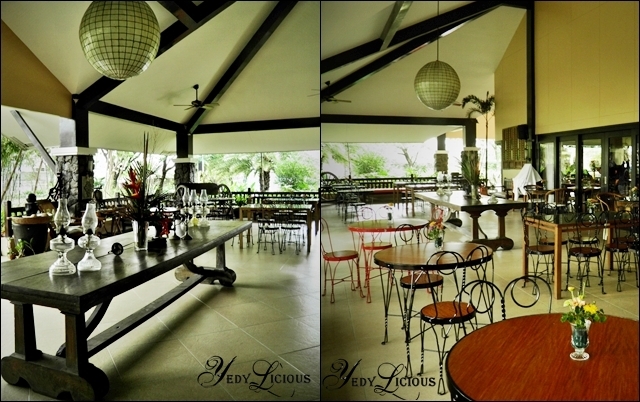 Located at the Acacia Estates in Taguig City, Chef Tatung is a foodie destination meant to satisfy even the most discerning of palates. 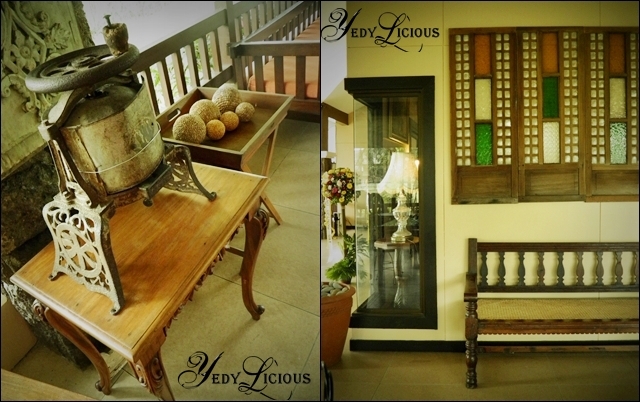 Its innate charm that captured the hearts of many foodies is still ever present even after the move. 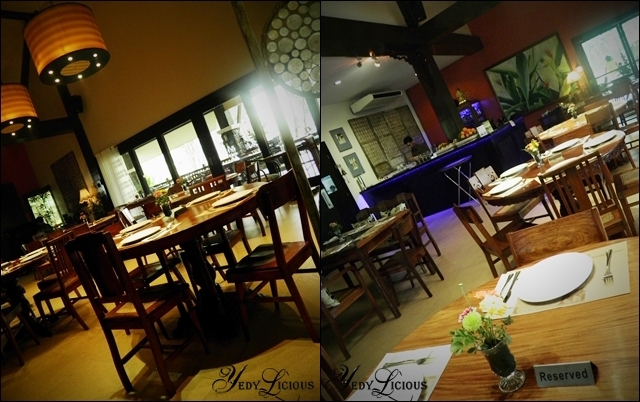 Only, it’s all the more lovelier as it boast of spacious area where more diners can be accommodated. 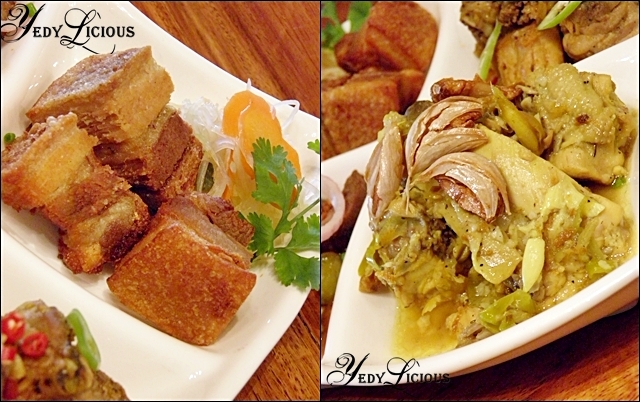 Our visit with fellow foodies was graced with both familiar dishes and delightful new additions to the menu. All of this we enjoy in an ambiance that suggests a marriage between homey and sophisticated as compare to the previous location. The familiar Chicken Sisig Lettuce Wraps (Php310) was a warm welcome that transported me back to the time when I first tasted it. What is usually a sinful treat known as sisig was given a healthy twist with the use of chicken and an addition of lettuce leaves. While the dish was already savory on its own, the mango dipping sauce that comes with it was an added treat to the palate given its citrusy taste that illuminates the meaty flavor of the entire deal. Tatung’s Fried Rice (Php210) with its remarkable flavor still plays a role in my list of favorite rice dishes. While its taste have always been impressive, its play on texture brought about by the loads of all things good in a fried rice is what made this dish extra special. The push and pull of the sour-savory-sweet taste of Tamarind-Glazed Butterflied Tilapia (Php350) is still what made this simple fried fish dish special. The tilapia with its distinct simple taste can be a tad boring to deal with at the table but with chef Tatung’s flair for giving simple dishes a twist shines through with this dish. The tamarind glaze plays a big role, I must say. 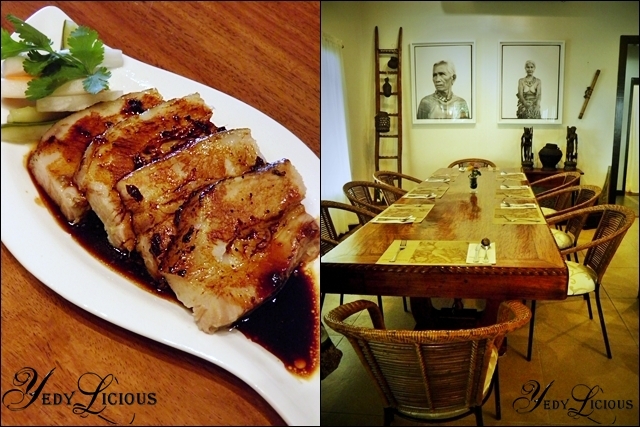 Still on top of my list of the dishes that rocked my world is Chef Tatung’s Honey Glazed Slow-Roasted Lechon (Php540). Slow roasted with garlic and lemongrass for six hours, this melt in your mouth pork dish is so good it’s a sin not to have it when visiting Chef Tatung. Although I’ve had this dish in other places before, Chef Tatung’s rendition of Sugpo in Aligue Sauce(Php580) is by far one of the best. Plump Tiger prawn smothered with crab fat in tomato sauce, this dish has a little spicy kick that made it all the more palatable and exciting to eat. Pokipoki Gratin (Php340) is Chef Tatung’s unique and downright delicious take on the classic Ilocano dish Poki-Poki. And since I love everything with cheese on it, I’ll be biased by saying this was my favorite dish during our visit. In fact, I love it so much that I included it on my write up for the December – January issue of Gala Magazine where I tackle mundane dishes with a new and refreshing twist. I was mesmerized with the colors at first, but little did I know, the playful flavors of Lumpiang Ubod in Flavored Crepes (P180) were all the more impressive. The flavor of pandan, egg, and ube is very subtle that one has to focus on the taste before you could actually tell the difference. But once you get the hang of jumping from one flavor to another, you would know the delightful difference. 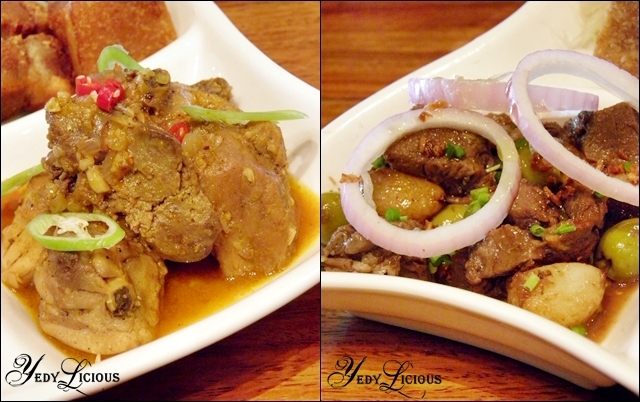 Another dish that was fairly new to me was the Adobo Sampler (Php1200) which comprise of four kinds of adobo. Chicken-Pork Adobong Ilonggo was the first I have tried. I love how it was incorporated with chicken liver because it lends not just a distinct taste to the dish, but a beautiful bend on the texture as well. Lengua Adobo on the other hand was equally pleasing with its tender meat and savory flavor. The distinct taste of ginger that penetrated the meat was what made Yellow Chicken Adobo or Batangas Style Adobo pleasant to my palate. What looked like the usual lechon kawali happened to be the Adobong Bisaya. Needless to say, it’s my favorite among the four. Although we have already stuffed ourselves silly with all the great dishes that Chef Tatung prepared for us, we are smart enough to leave some room for desserts. Truth be told, Pichi-Pichi is my least favorite Filipino dessert because I find it boring and downright plain for my taste. But Chef Tatung’s lend a different dimension to this dish with its rendition aptly calledPichi Pichi with Queso de Bola (Php100). I am crazy about cheese and having my least favorite dessert smothered with it instantly made it a stellar in my book. Warm Tsoknut Chocolate Cake (Php100) was already familiar, but still I grabbed my fair share and enjoyed the warm chocolatey treat that caress my palate to bits. I am not really crazy about chocnut but this dessert was good enough for me to appreciate it. Although Chef Tatung has always been famous for its great dishes and its superb service, the move made it all the more enticing to visit. 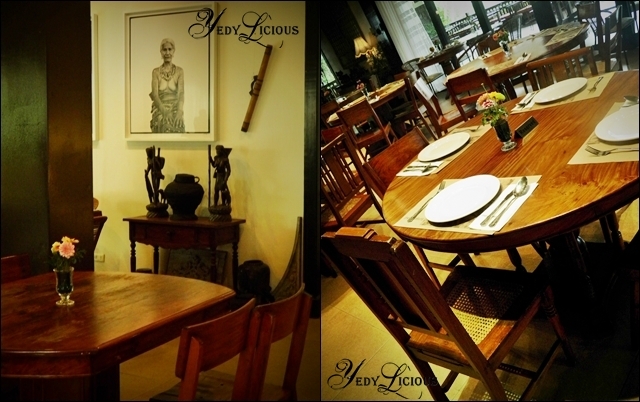 It’s not accessible to everyone especially for us living in the northern part of Manila, but with the kind of gastronomical experience that you can get from it, you would know that its worth the travel. Needless to say despite the relocation I still feel at home at Chef Tatung, because up to now, it still carry the heart that made them what they are now.